Avert your eyes. Here comes MYEFO. Brace yourselves, because this ain’t gonna be pretty. 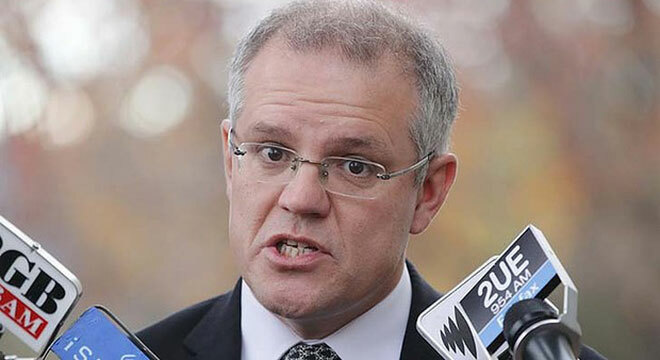 While it seems that most of the 2000s was spent watching Prime Ministers promoting the importance budget surplus, there is little chance of Trunbull and Morrison delivering one themselves – even if they win the next three elections. Treasurer Scott Morrison has little fear of delivering a whole lot of bad news for Tuesday’s Mid-Year Economic and Fiscal Outlook (MYEFO) update. Don’t forget that the former Minister for Immigration pretty much channeled the devil during his relentless (and, it seems, ultimately successful) efforts to ‘stop the boats’. Today, he gets to gather the rotting carcasses of Hockey’s two budgets and throw the stinking pile across the table for all and sundry to observe in horror. Keep in mind this is all just scene-setting for next year’s budget. Prime Minister Turnbull and Morrison have a very limited opportunity to package up their ideas for where to take the Australian economy. We’ve had plenty of sunshine and rainbows since Abbott was turfed three months ago, but at some stage the rubber will have to hit the road. Today we’ll be told just how much trouble we’re in. Again. Given everything is circular, it would make sense for the Treasurer to play down any prospects for a recovery of resources prices. Most punters consider that iron ore has pretty much hit the bottom the cycle. Coal may have a way to go (and little chance of ever returning to previous highs) but the offset is a lower oil price which is taking some pressure off household budgets. Late last week in Canberra, E10 fuel could be found for as little as $1.09 per litre. More good news is that Morrison has a great opportunity is to prepare the way from an honest budget. If MYEFO sets a disastrous scene – and don’t for one minute think the Government will miss the chance – then the foundations for Budget Repair Mark II will be laid. Put this on top of the Tax White Paper (which Turnbull and Morrison can own or discard), and we will be looking at a very different plan for Australia come May. It could be a tough budget for an election year, but certainly one that will be sugar-coated in opportunity and promise. After all, it’s a great time to be an Australian.